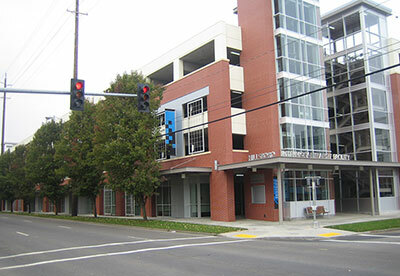 The Hillsboro Center, a satellite facility of the Rock Creek Campus, opened in winter 2002. 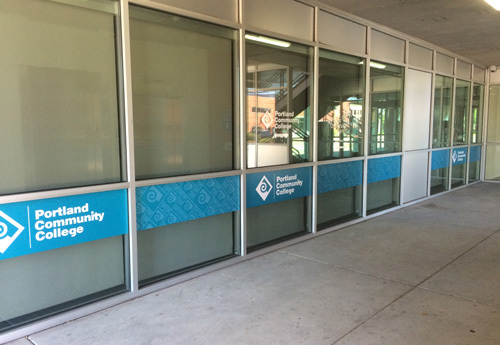 The Hillsboro Center is located at 775 SE Baseline Street in the Hillsboro Intermodal Transit Facility (parking structure), across from Tuality Hospital. Free parking is available on the first and second floors (public parking) of the transit facility and can be accessed from either 7th or 8th avenues. The Hillsboro Center has updated classroom technology, wireless Internet access, a testing room, a study room, three classrooms, a computer lab/classroom, an art room/classroom and commons area. 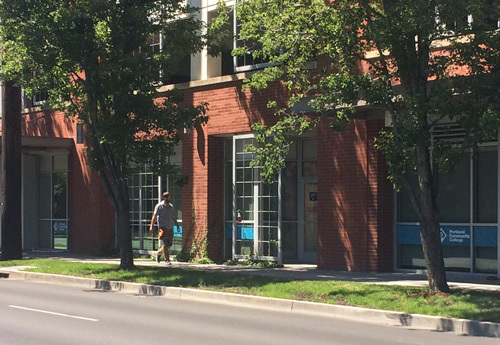 Classes at the Hillsboro Center are offered mornings, afternoon and evenings. (View schedule of Hillsboro classes. Also available as a PDF: Hillsboro class schedule flyer.) 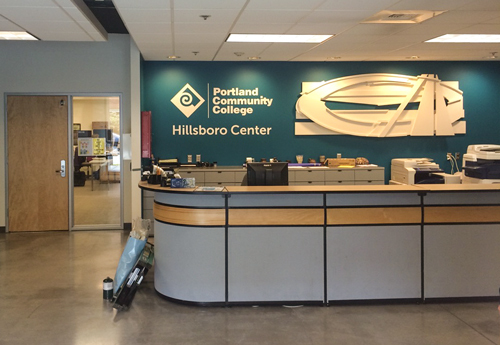 The Hillsboro Center offers a variety of university transfer courses in Arts/Letters, Social Sciences, and Math/Sciences. 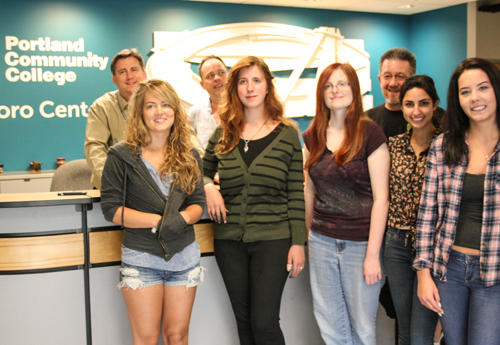 Professional/Technical classes include computers and graphic design. Developmental reading, writing, and math are also offered. English as a Second Language classes are offered every term. Academic advising and placement testing are available at the center. Call for an appointment. Please Note: The Hillsboro Center does not offer any ABE or high school equivalency classes. Call the Rock Creek ABE Office at 971-722-7683 for more information. 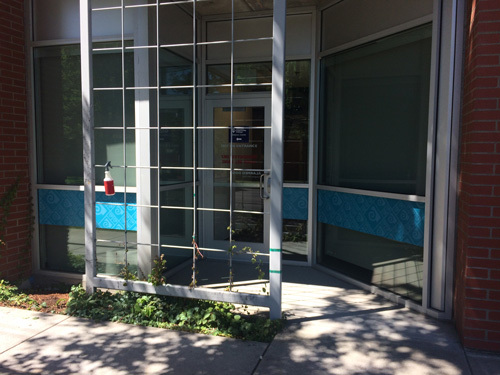 Due to increased enrollment and limited space/resources, currently enrolled Hillsboro Center students have priority usage of the Study Room and Computer Lab. Other PCC students may be asked to give up a computer. Printing is for Hillsboro Center students only. PCC Online Learning and other PCC students can seek computer resources at the Rock Creek Campus. Textbooks for classes at the Hillsboro Center can be purchased from the Rock Creek Campus bookstore. 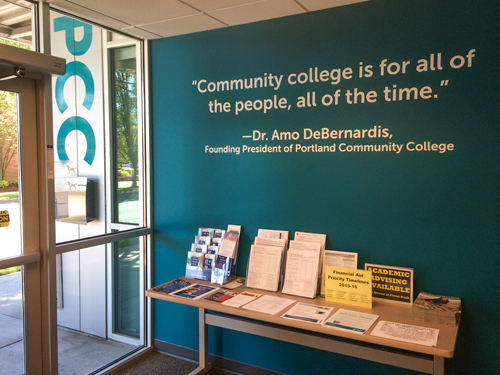 Becoming a PCC student is easy! Just complete the steps for new students, starting with admissions.